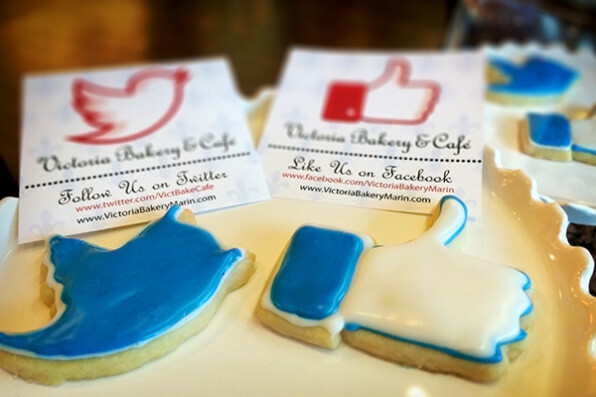 Victoria Bakery and Café specializes in custom-designed traditional Italian wedding cakes and contemporary wedding cakes, as well as cupcakes and cookies. Our cupcake wedding cakes are pre-portioned, making it easy to serve as well as trendy. If you’re on a budget, you can give your cupcake wedding cake as party favors in an elegant box. We pride ourselves on our originality, quality, and unique ability to make every cake special and spectacular. Our reputation, experience, and techniques enable us to create the perfect cake for you. Choose from unique designs that speak to you. We make everything from modern styles to old fashioned, Italian cakes. Square wedding cakes with clean, contemporary lines look elegant when made of fondant and wrapped with hand–sculpted ribbons and bows, such as an elegant Tiffany’s box wedding cake. If you’re going for a classic look, we made tiered and columned cakes. You can match the theme of your wedding by using the same color scheme, or by choosing a casual or formal style, or by adding any other personal touches. We can personalize your wedding cake by adding initials or by helping capture a precious moment. Whether it be your trip to Paris or the day you met in the school yard, it can all be a piece of cake. Enjoy a multi-tiered masterpiece that will not only be a work of art but have an unforgettable, delicious taste!